It is obvious that since the advent of the internet, traditional media have suffered declining advertising revenues as readers have shifted from paper to digital editions. Publishers have effortlessly (and not always successfully) tried to find business models (subscriptions, diverse freemium schemes, 100% ad-based, etc.) to rebalance their top lines. Such eagerness to generate increasing digital revenue has in most cases led to a proliferation of advertising at the cost of the user experience. We have reached the point where such ad proliferation has caused many users to find their navigation experience increasingly disturbing, intrussive, annoying...in short, a perfect storm for ad blockers (and an opportunity for new non-intrussive advertising formats). 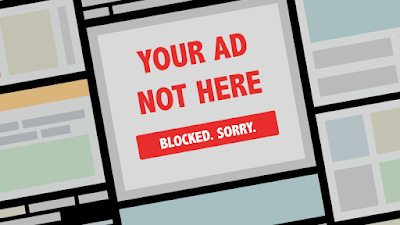 According to a report by PageFair and Adobe, ad blocking will result in almost $42bn in foregone revenues in 2016 globally (rising from $21bn in 2015). The same report points out double-digit YoY increases in users' ad blocker adoption. Bad news for publishers as their already somewhat weak digital revenues are impacted by a tidal wave. Obviously, publishers are trying to react by forcing users to disable their ad blockers in order to navigate a site or by kindly asking them to do so...We have just known that, for instance, leading French publishers such as L'Equipe, Le Monde or Le Figaro are pushing together against ad blockers. This is obviously bad news for advertisers as well. Along these lines, Fast Company reported in January that at the last Interactive Advertising Bureau (IAB) annual conference, Adblock Plus (one of the leading players worldwide) was kicked out. 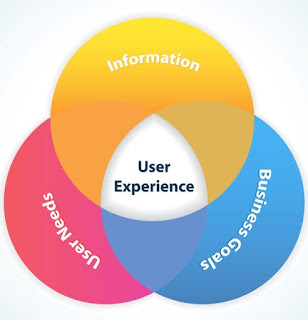 It is probably easier said than done but at the end of the day the solution is about finding a balance between revenue and user experience. It sounds obvious, I know. As users, we have to understand that publishers have to pay salaries, premises, technology, etc (like any other business! ), and that advertising plays a critical part in that. We cannot demand "free" quality content just like that and we should tolerate some reasonable degree of advertising. At the same time, publishers have to acknowledge that it does not make sense that any given user just wants - in a majority of cases - to close a pop-up as soon as it opens, or skip any pre-roll as soon as it kicks off. And it is in this context that finding and implementing new advertising formats - native advertising, programmatic technology, etc. - that provide relevant (as opposed to general), quality (as opposed to junk) information to users may be the key to finding that balance. Happy, recurring users mean more traffic which, in turn, should translate in higher revenue. But finding the right formula for this equation is still something in the works.